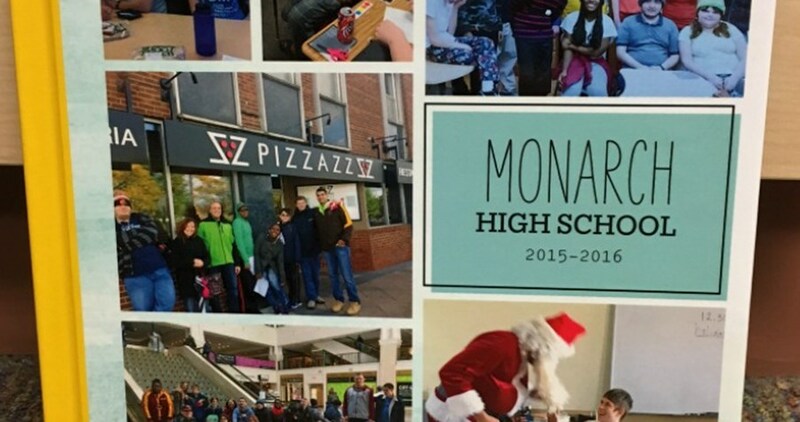 Monarch High School is one of three unique programs offered to Monarch School students ages 14 through 21 with Autism Spectrum Disorder. Students receive a curriculum that is rich in academics, social skills, therapeutic services, and community-based internship experiences. Individuals ages 14 through 21, whose educational goals are to secure competitive employment or college admission. Intensive therapeutic intervention provided by a multidisciplinary team including speech & language pathologists, occupational therapists, behavior specialists, intervention specialists, music, art & recreational therapists, and associate teachers. Students receive one-on-one and small group instruction. Classes are taught in a natural environment and address academics, fine arts, and gross motor, as well as social, communication, sensory, and self-regulating skills. The curriculum is taught at school and generalized in the community at numerous internships with non-profit organizations, grocery stores, banks, retail stores, and more. These internships enhance students’ abilities to successfully transition into adulthood following graduation. Each student has an Individualized Education Program (IEP), and individualized positive behavioral intervention plans are created and implemented for students who require them. Program combines concept-driven language instruction, visual supports, technology, and Applied Behavior Analysis (ABA). Individualized visual supports are created and implemented for each student around three primary constructs: Visual Instruction, Visual Expression and Visual Organization. Educational software, video modeling, iPads and other mobile devices, computers with web-based tools, and SmartBoards, are used liberally during the school day to supplement students’ Individualized Education Programs (IEPs). State-of-the-art facility intentionally designed to appease the sensory needs of students with a soft color palette, gentle up-lighting, an abundance of natural light, extra sound proofing, quiet wooden lockers, odorless paint, individual classrooms, a gym, outdoor basketball court, garden, and adapted indoor swimming pool. 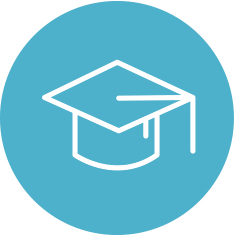 Student and program progress are continually assessed and reported with a unique data collection system that measures performance through parameters of independence, accuracy, participation, and behaviors. Students are afforded opportunities to participate in school-based clubs including School Newspaper, Photography/Yearbook, Cooking, and Community Explorers. In addition, students attend field trips that are planned in conjunction with a unit of study to reinforce the concepts taught in that unit. Students also partner with typical peers from a local high school to socialize, build friendships and practice their communication skills. Additional experiences that mimic those of their typical peers include participation in internships, holiday parties, Prom, musical theater, athletics, art exhibitions, and more.